No Dyson Spheres out there. Nothing to see. No sir. Iain Banks fans, we’ve got bad news for you: the Culture is probably not out there. Recently, a team of scientists used information from NASA’s Wide-field Infrared Survey Explorer (WISE) to look for any energy signatures from galaxy-spanning advanced civilizations. They found nothing. Now, this doesn’t rule out the existence of complex life or intelligent life. But what it means is that the type of advanced civilizations that have conquered entire galaxies or vast regions of space – the backbone of sci-fi – aren’t there yet. At least as far as we can see. The scientists’ idea was to look for heat radiated from advanced technology, which would stand out against the ambient radiation. 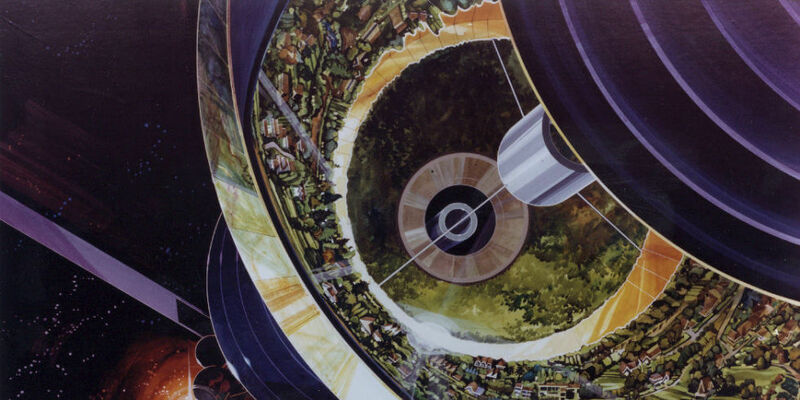 The idea was first proposed by Freeman Dyson in the 1960s. Essentially, he said, the civilizations might essentially cannibalize their home galaxies, using stars and black holes as energy sources. That’s interesting because these galaxies are billions of years old, which should have been plenty of time for them to have been filled with alien civilizations, if they exist. Either they don’t exist, or they don’t yet use enough energy for us to recognize them. But there was no such thing to be found, meaning either that there are no advanced mega-civilizations in the area or that they can cover their tracks really, really well. Still, the scientists found about 50 galaxies that had something interesting going on in the mid-infrared spectrum. Maybe the signatures come from unknown or unforeseen astronomical phenomenon, or maybe they’re signs of a great galactic civilization. For now, the team is leaning toward the former. You can’t dive into the issue of advanced alien life without addressing the Fermi Paradox, which asks, essentially: If there are advanced civilizations, why haven’t we heard from them or spotted them? Through the lens of the paradox, one could interpret this study in a few ways. One, perhaps we’re looking too far back in time through WISE, and alien civilizations have advanced since then. Two, the civilizations out there are about on par with humanity, and no more advanced. Three, there really is a “Great Filter” and civilizations destroy themselves before they become interstellar. Or maybe there’s just nothing out there. We hope the advanced aliens are hiding themselves, because an empty universe would be no fun.